One morning near his seaside home, five year old Sosuke discovers a goldfish he names Ponyo, her head stuck in a jam jar. He rescues her, and fascinated with each other, they promise to stay firm friends. 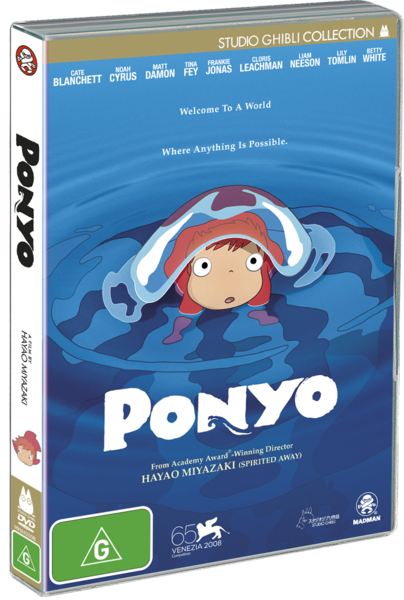 When Ponyo's father, a powerful underwater sorcerer, forces her to return to the ocean depths, Ponyo is determined to join Sosuke on the surface and become human. What follows is an amazing underwater adventure for all ages.